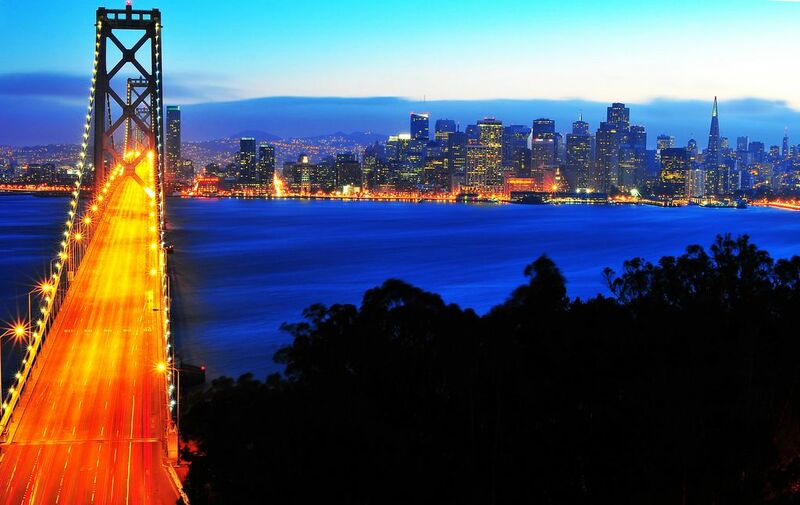 San Francisco: the best photo ops in the city for your Insta account to pop! WHO WANTS to see another jumping shot in front of the Golden Gate Bridge or a snap of you locked up at Alcatraz? Absolutely no one. For all of the well-known photo locations, there are dozens of alternatives that will ensure you still come home with an impressive, different, and distinctly San Francisco Instagram feed. Here are 12 San Francisco photo spots where you can capture the urban grit, the jagged skyline, and the secrets that set the city apart. The SFMoma is San Francisco’s seven-story contemporary art museum that is packed to the walls with massive murals, neon signs, and abstract sculptures. The museum is fascinating to explore but go with a pal to capture some artsy Instagram shots. There are plenty of hills to climb in San Francisco, but the summit of Bernal Heights is the best of the bunch. Bernal sits on the southeast side of the city and from there you get a panoramic view of the downtown and the grid-like streets below. Go around sunset for the changing light, the rolling fog, and a picture-perfect view of the city. 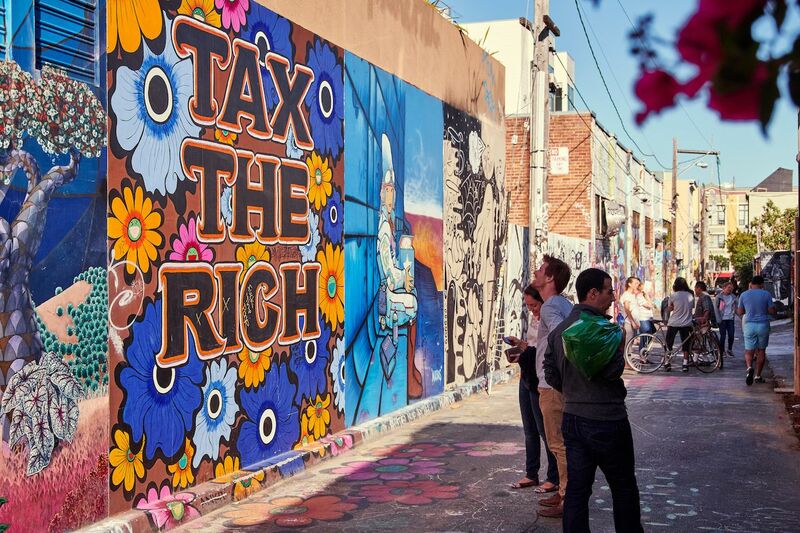 The murals in Clarion Alley are like an ever-changing, silent protest against San Francisco’s most pressing issues — gentrification and gender inequality. Since 1992, more than 700 murals have been colored on the walls. When you’re in the Mission, you won’t want to miss a walk down this alley both for the photo ops and the chance to learn about what is important in San Francisco right now. Fisherman’s Wharf is the tourist center of San Francisco. I’d say avoid it at all costs unless you’re seeking clam chowder in a bread bowl or antique arcade games. At the end of Pier 45, Museé Mécanique houses a collection of 300+ coin-operated mechanical antique games and musical instruments. You can arm wrestle a luchador or have your fortune read by fortune-telling Zoltar; your photo opportunities are only as limited as your imagination. I will admit that if you leave San Francisco without a Golden Gate Bridge shot, your trip didn’t happen. This international orange suspension bridge is best captured from its less famous side. 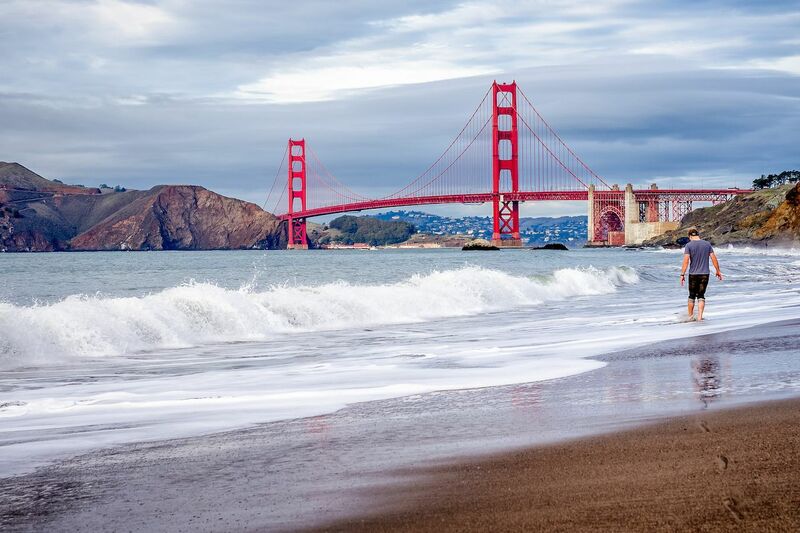 Get out to Baker Beach for a truly awesome bridge shot. The beach is not much for swimming or sunbathing, but you will get a killer photo featuring the bridge’s two towers, with a strong foreground. Pier 14 was built as a breakwater for the Ferry Building, but the 2006 renovation turned the pier into a work of public art. 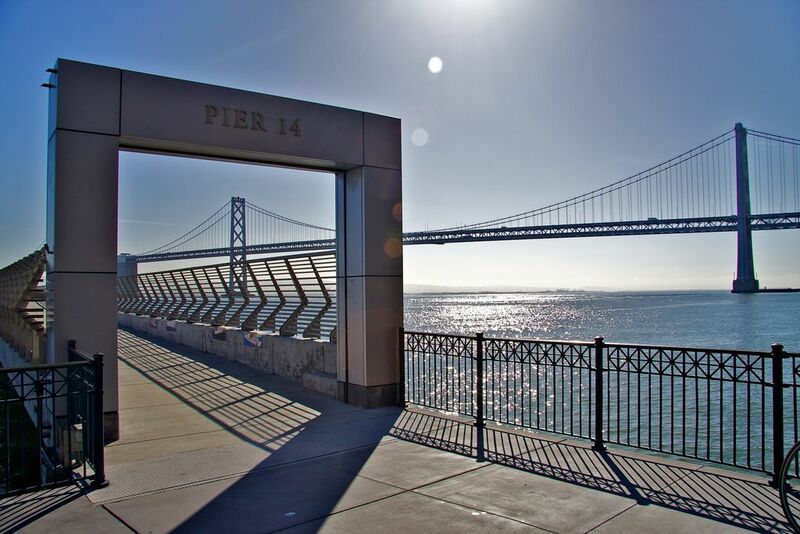 Measuring 637 feet, Pier 14 is a walkway onto the water between the Bay Bridge and the Ferry Terminal. The pier shows off a few San Francisco landmarks, as well as having angular metallic railings and modern swivel chairs set in stone. Pier 14 is a great place to sit and contemplate (or at least take a photo that makes it look like you were sitting and contemplating). The US doesn’t have much in the way of ancient sites, but we do have our fair share of modern attrition. 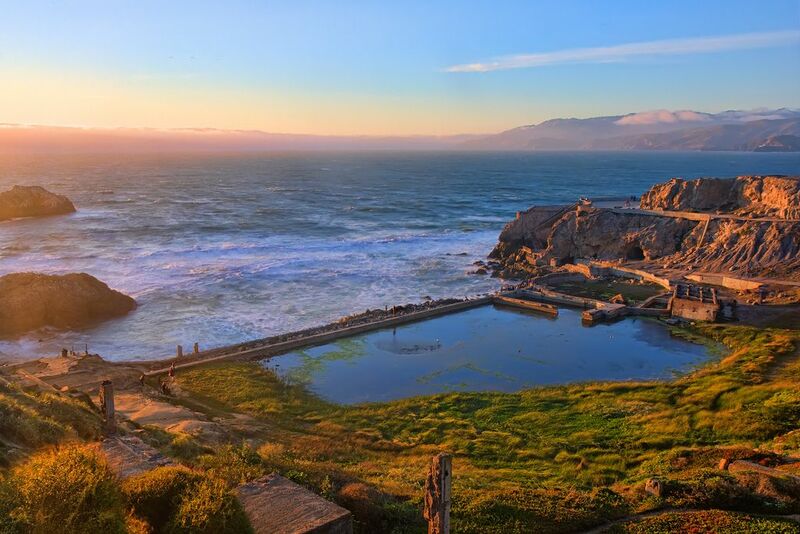 In 1896, the largest indoor swimming pool complex — the Sutro Baths — was a ritzy place to take a dip. These days, there’s nothing swimmable about it, but remnants of the once glorious swimming pools are flooded and perfect for mirrored Instagram shots. The shop is cute and all, but the most Instagrammable part is their rosy neon sign with the tagline, “I got baked in San Francisco.” Snag yourself a cruffin or donut to hold in your hand, and upload to Instagram with absolute confidence that your afternoon snack really was #foodporn. 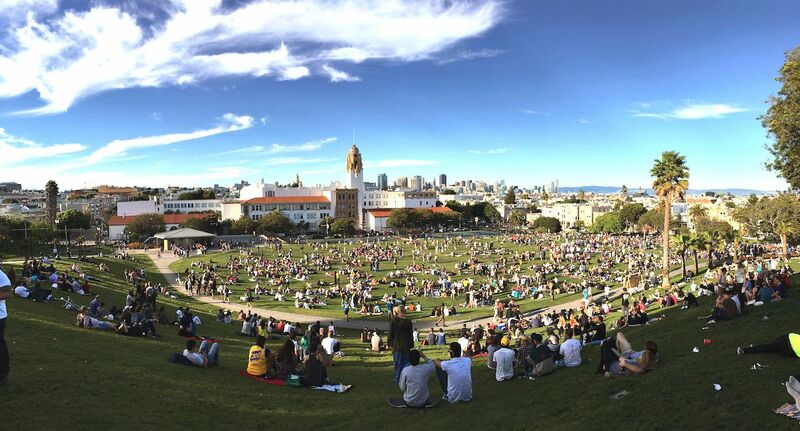 Dolores Park on a Saturday feels more like a music festival than a public park; it’s loud, crowded, and anything goes. Bring your pet macaw or dress like a mermaid and you still won’t be the weirdest one there. For the best Instagram shots, climb to the southwest corner of the park where you’ll get a complete view of modern downtown, contrasted against the adobe walls and basilicas of Mission Dolores. Getting the best view of a city usually requires leaving the city. As you cross the Bay Bridge from San Francisco to Oakland, you’ll find eclectic Treasure Island. Once a month Treasure Island transforms into a flea market where you can you can look for cool old stuff and head towards the water for a perfectly illuminated San Francisco skyline. The California Academy of Sciences is pure whimsy. 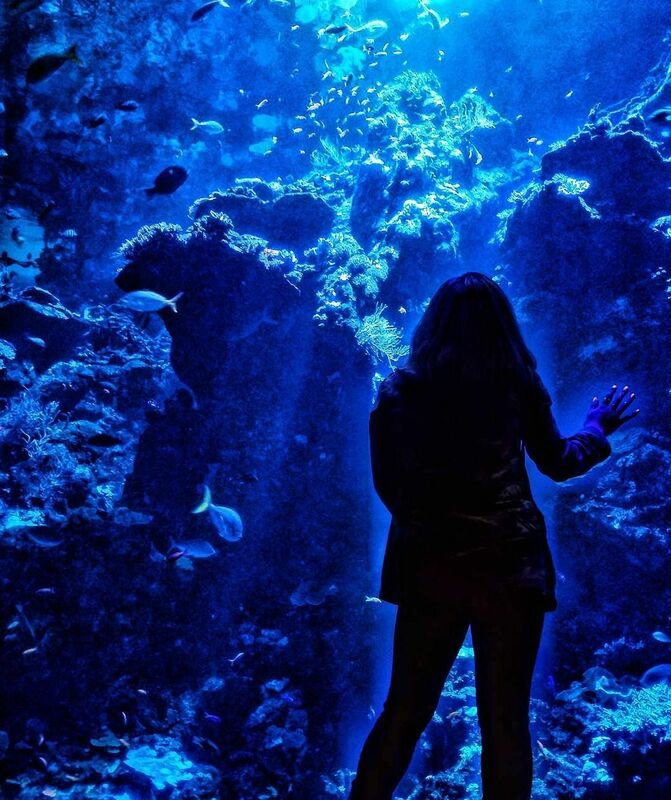 It is tagged as a natural history museum, but here, you’ll also find an aquarium with more than 900 species, a massive planetarium, a living roof, and a 90-foot-high rainforest dome. The California Academy of Sciences is big on the details, so you’ll find all their exhibits carefully lit and creatively designed. 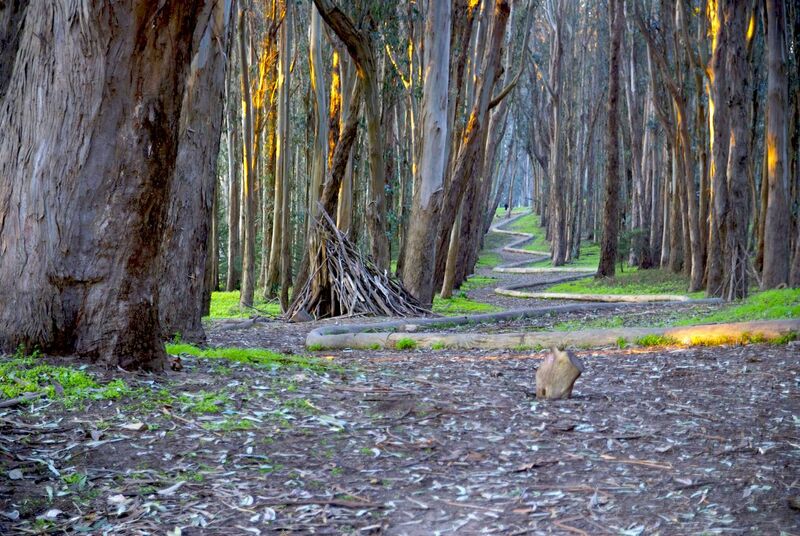 Lover’s Lane — a log path winding beneath the Presidio’s swaying eucalyptus trees — appears to go on forever, but in truth, the walk is actually just an easy .6 miles. The spot is understandably popular for engagement photos, but you don’t really need to have found life-long love to get a great shot here (photo bombing happy couples may actually be a great idea).